Try Transit Today! You just might find you like the freedom to relax during your trip. Don’t give up your car just give it a break. In partnership with Hopelink‘s Mobility Management Team reference guides and handouts were created to improve transit mobility access throughout the city and south King County. ORCA stands for One Regional Card for All you can use it on Metro Transit Buses, Sound Transit Link Light Rail, Sound Transit Regional Express Buses, Sounder Train, Kitsap Transit Buses, Seattle Street Car and King County Water Taxi’s! 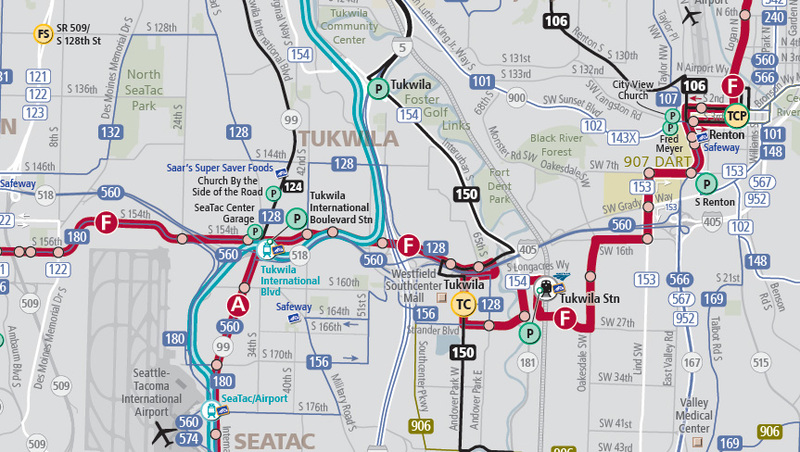 The ORCA card is all you need to pay your fare on buses and trains in the Puget Sound region. Your ORCA card works like a pass, automatically tracking the value of different fares and transfers so you don’t have to. Get an ORCA card today! Get a reduced fare ORCA card! 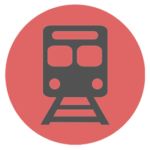 The Regional Reduced Fare Permit (RRFP) entitles senior riders (age 65 or older), riders with a disability and Medicare card holders to reduced fares on the following public transportation systems in most of the Puget Sound region. Buy an ORCA card in your community! Looking for alternative places to buy or reload your ORCA card? 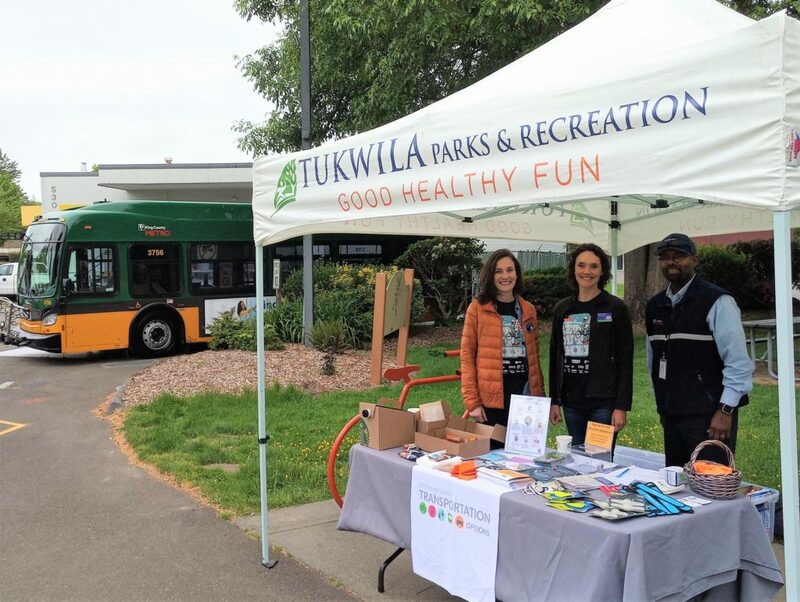 Each month ORCA To-Go travels around the Puget Sound area making stops at senior and community centers, major events, fairs, and other key locations to provide on the spot full-service ORCA card sales and assistance. Cash, checks, and major credit cards are accepted for payment. 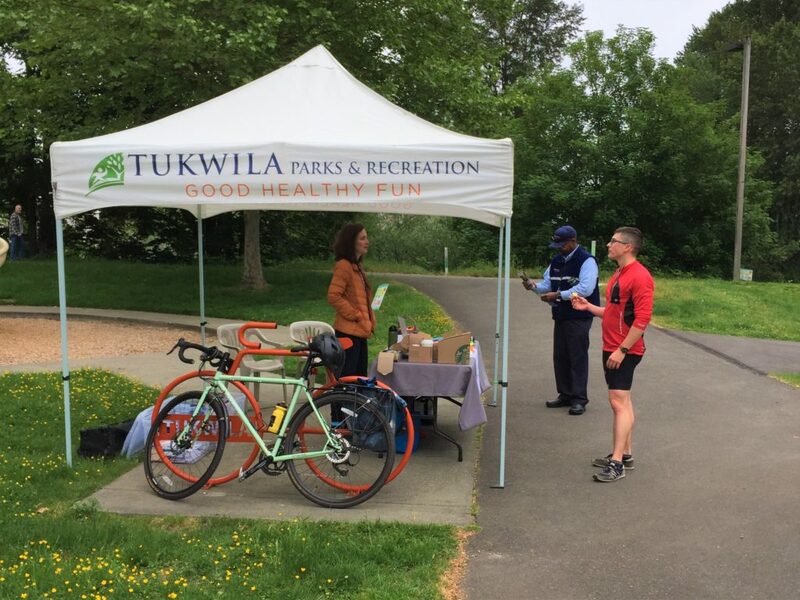 The City is working to make Tukwila more bicycle and pedestrian friendly and improve the ability to connect to regional trails. New development standards for the Urban Center will improve pedestrian and cyclist amenities, create better pedestrian/car separation, and establish a more urban, dense street grid. Thanks to all who participated in the 2018 Bike Everywhere Challenge! 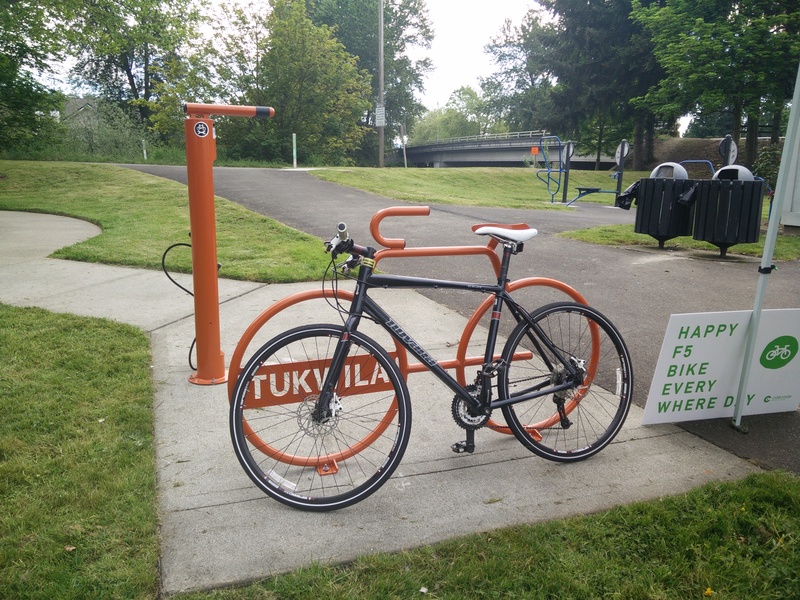 The City hosted Bike Everywhere Day Celebration Stations in 2017 and 2018 in Bicentennial Park. 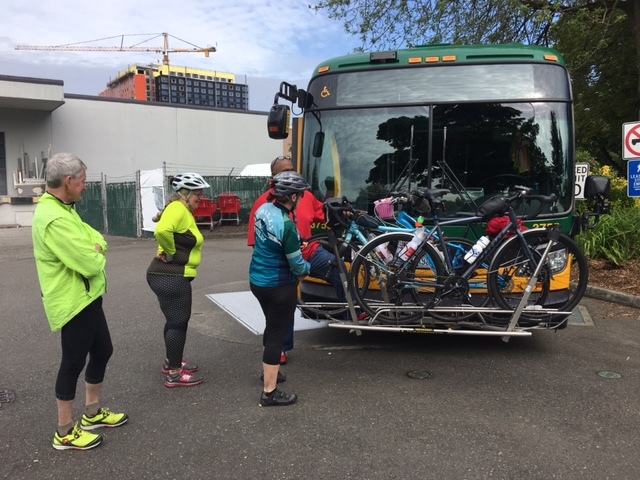 This event was hosted in partnership with Cascade Bicycle Club and King County Metro, who brought a bus out both years to give cyclists the opportunity to learn the best way to load/unload your bike on the front of the bus. Thanks to all those who stopped and visited with us! 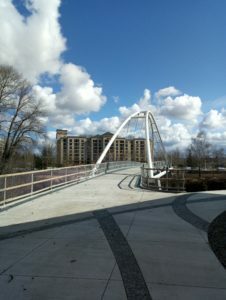 New Tukwila Pedestrian/Bicycle Bridge NOW OPEN! 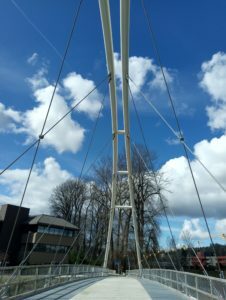 A dedicated pedestrian and bicycle bridge over the Green River is now open as part of a pedestrian and bicycle corridor project to improve pedestrian and bicycle connections between the Tukwila Station, which is served by both Sounder and Amtrak train service, with the Southcenter area, a regional destination for employment, retail, dining and entertainment. The bridge boasts a bicycle counter, so soon you will be able to see how many people are using the bridge! A grand opening for the bridge will be held in early spring 2018 once the finishing touches are completed. 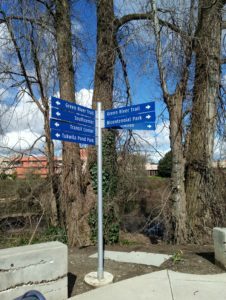 Access the bridge on the west side of the river via the Green River trail near Baker Blvd. and off of W Valley Hwy just south of Longacres Way on the east side of the river. 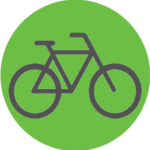 Biking Resource page, created by our 2017 intern! There are many alternatives when you decide to drive. Sharing your trip helps to reduce traffic, improve air quality, reduces fuel consumption and it will save you money! Looking for people to carpool with? 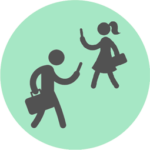 Visit RideShareOnline.com or use the icarpool app to find a carpool match for your trip! 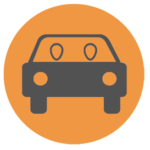 Click here for more information about carpooling. Did you know you can find guaranteed parking at many south King County Park and Ride facilities? Carpool parking permits are available at both King County Metro and Sound Transit lots. 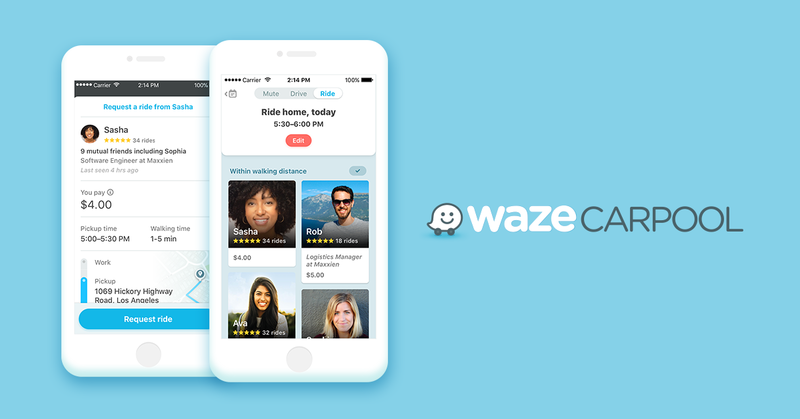 Want to carpool without putting miles on your car? Here in King County we have the largest publicly owned and operated vanpool program in the nation! King County Metro covers the car, the fuel, and maintenance costs. Start a Vanpool today. King County Metro now offers online commuter van fare payment via the orcacard.com website. Vanpool and vanshare participants can now pay all or part of their monthly fares or personal use charges online via credit card. Click here to see how! 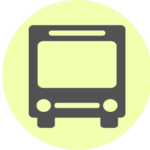 Allows you to share trips with other riders from the nearest Transit Center or Park and Ride! Your first and last mile solution is right here. Rideshareonline.com makes it simple for parents and students to find carpool buddies with in their school. Learn more about SchoolPool! Telework refers to alternative or flexible schedules under which an employee performs the duties and responsibilities of such employee’s position, and other authorized activities, from an approved worksite other than the location from which the employee would otherwise work. In practice, “telework” is a work arrangement that allows an employee to perform work, during any part of regular, paid hours, at an approved alternative worksite (e.g., home, telework center). 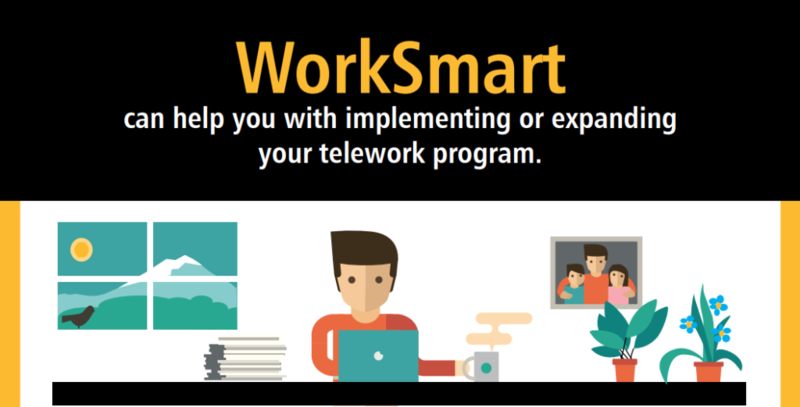 Want assistance designing a telework program for your company? 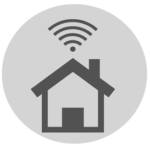 Click Here or Contact King County’s Telework Expert Elham Shirazi today! Email worksmart@kingcounty.gov or call (206)909-3498.